believr. 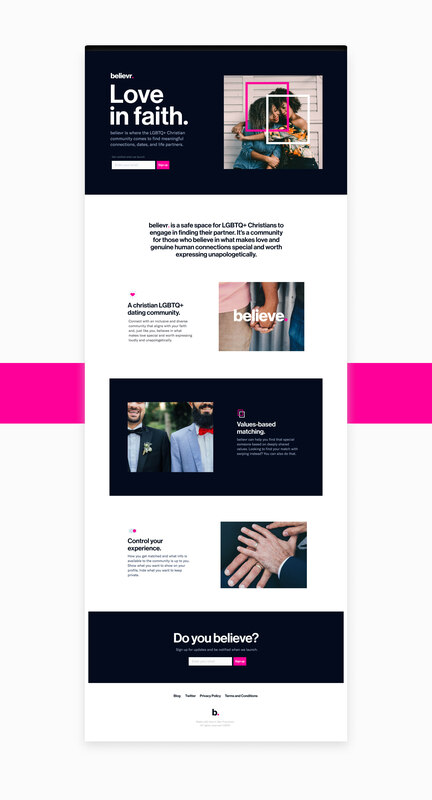 is a safe space for LGBTQ+ Christians to connect with each other and engage in finding their life partner. It's a platform for those who believe in what makes love and genuine human connections special and worth expressing unapologetically. 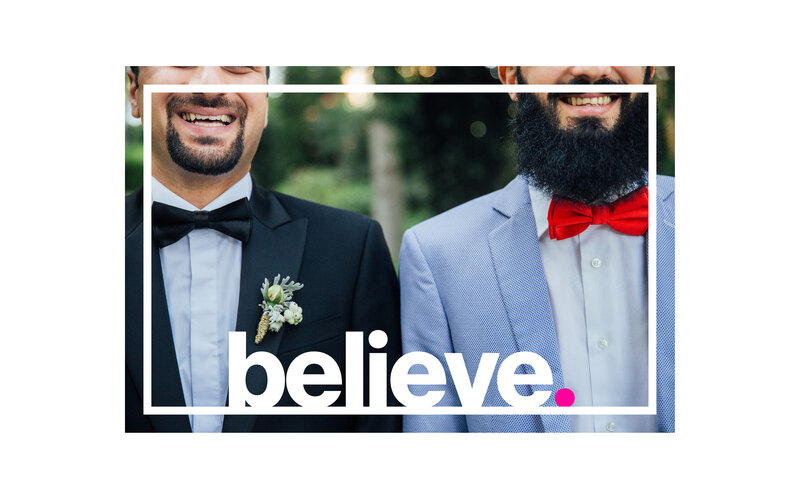 On a big picture level, believr is aiming to accomplish positive cultural change by helping unite the community and celebrating its people. Adam and Brandon founded believr and have been friends for 15+ years. They grew up together in a very conservative Christian town in the US. After living through years of feeling shun from their own community and not knowing how to connect with others like them, they decided to do something about it. To launch their startup they asked Good Kind to partner with them to develop their brand and product. "I love working with Good Kind! Their professionalism, quality of work, and dedication is incredible. They're a true partner to my mission." Millions of LGTBQ+ Christians in the US have been oppressed and shamed for having a definition of what love means that differs from conservative views. And so far, there has been a wide vacuum in giving the community a platform and tools to connect with each other in a safe and inclusive space online. As a first of its kind, believr's core challenge was to speak to its audience in a way that positions its brand as values and faith oriented without appearing old school or conservative to its 20-35 years old demographics. We developed a bold and edgy brand identity that communicates some core brand themes. It celebrates what makes relationships special and it expresses a basic human truth: we all want to be connected and loved regardless of our background or our preferences. Launching at QConference 2019, the signup page went viral over the weekend and collected over 500 signups in 48 hours. 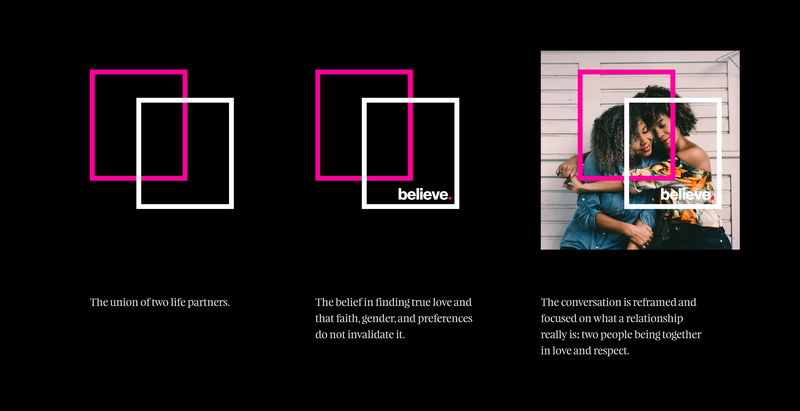 Shortly after the launch, LGBTQ Nation wrote an article about the potential social impact of believr and how it could help reshape the conversation in Christian communities.